Sleeker than last year's version, the Rio sedan arrives for 2014 with a renewed body and bolstered engine under those covers providing improved aerodynamics. New features include a revised Smart Key that folds for compact convenience and the inside newly features a water temperature gauge and enhanced leather-wrapped steering wheel, otherwise largely carrying over. Still offered in base LX, executive EX and sporty SX trims, features across the board include CD, MP3, USB, Auxiliary and Sirius radio connectivity through dash or new-for-2014 steering-wheel-mounted controls. The basic Rio packs on features like heated powered mirrors, air conditioning, a height-adjustable driver's seat and tilt-only steering wheel, but its Power Package for automatic-equipped models adds power windows with driver's side auto-up/down and remote keyless entry. You'll need to opt up to the EX for cruise control, telescoping to go with the tilt on the steering column, a sliding front armrest, Bluetooth phone connectivity and 2 more speakers for a 6-speaker sound system—those LX options are EX-standard. The SX includes all those plus a navigation system with SiriusXM Traffic, push-button start with Smart Key, leather seat trim, heated front seats and a power sunroof, as well as the expected performance upgrades like a sport-tuned suspension, 17-inch alloy wheels and paddle shifters. However, each Rio sedan drives about the same: sporting, if a bit choppy. Perhaps it feels a bit more spirited than it may appear with its 1.6-liter GDI 4-cylinder engine with the option of either a 6-speed manual transmission (LX only) or efficient 6-speed automatic. 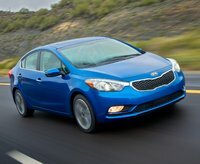 The 2014 Rio produces the same 138 horsepower as the 2013, but with a fuel economy rating of 27 mpg city/37 highway for the sedan and hatchback. Meanwhile, Rios equipped with the available ECO Package provide enhanced fuel efficiency of 28/37 without a single significant engine change. Rather, it seems losing weight trimmed down that appetite. Another point for the 2014 Rio is that the Rio is 85% recyclable at the end of its lifespan, and the Rio features seat foam material that uses 100% biodegradable and non-toxic castor oil, which benefits the environment in several ways, including reduced use of petroleum-based products. And because castor oil comes from plants, this material is generated from a completely sustainable source. This means that the car will not affect the environment after its life on the road. Upgrades for the EX are the Convenience Package, which includes 15-inch alloy wheels, the UVO voice-activated infotainment system, Rear Camera Display, automatic headlamps, a leather-wrapped steering wheel and shift knob, power folding side mirrors with turn signal indicators, front fog lights, dual illuminated visor vanity mirrors and dual map lights. An available ECO Package can be added to the EX trim when the Convenience Package has been selected, which adds Intelligent Stop and Go technology for enhanced fuel efficiency. 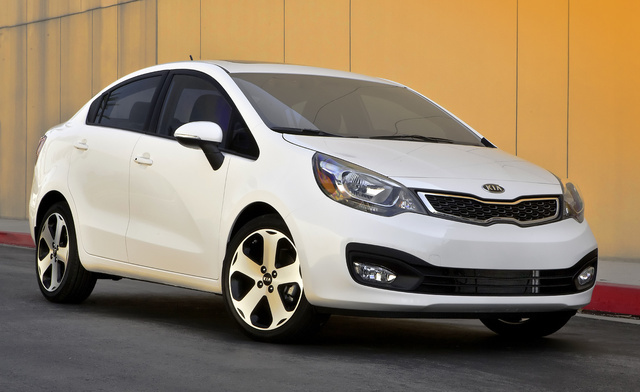 What's your take on the 2014 Kia Rio? Users ranked 2014 Kia Rio against other cars which they drove/owned. Each ranking was based on 9 categories. Here is the summary of top rankings. 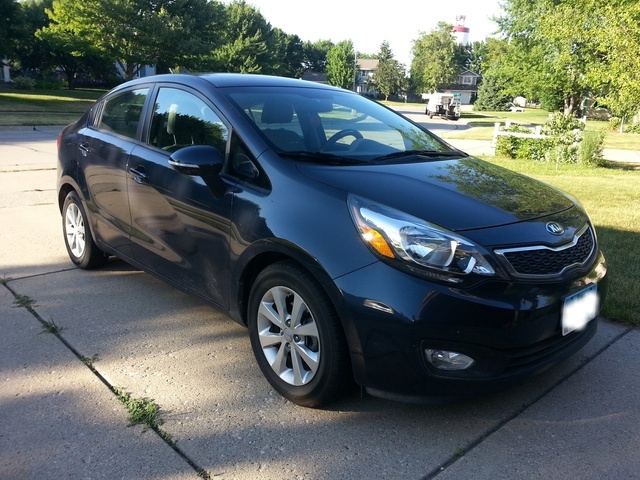 Have you driven a 2014 Kia Rio? KIA RIO Wont Start Periodically.